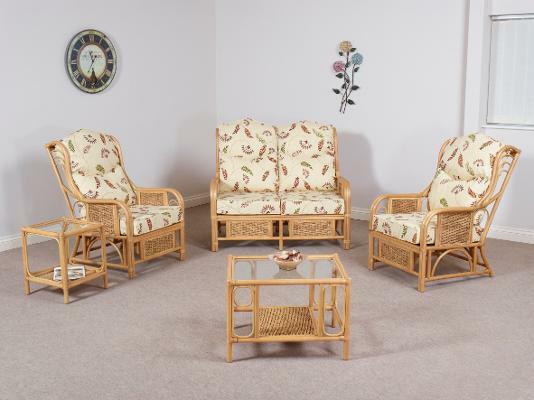 The Tobago range is a traditional design Cane suite, with partially thatched front and side panels. The traditional design is complimented by matching Side Table and Coffee Table. Shown in NatWash finish with Zambezi Autumn fabric.